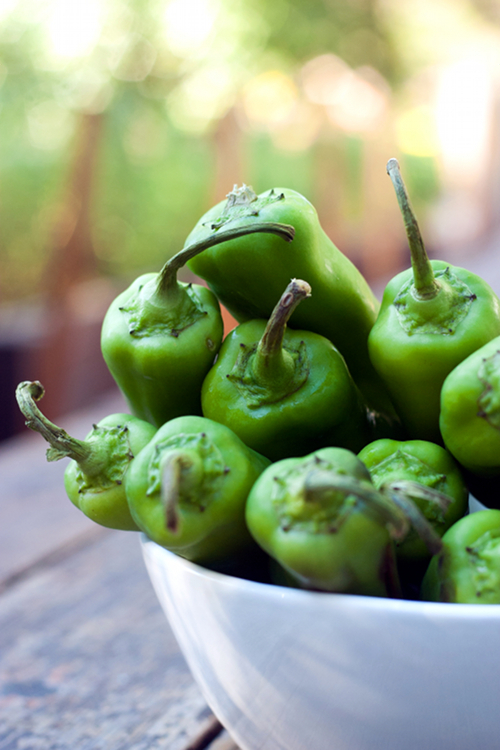 Wash the chiles and pat dry. Using a small pairing knife, make an incision from the top to the bottom part of the pepper. Scrape off the seeds and the membrane from the inside of each pepper. Set aside. Preheat the oven to 375 degrees F. Meanwhile, put together garlics, ginger, kaffir-lime leaves and lemongrass into a food processor. Pulse several time until the paste forms. Transfer ground pork and spice paste into a large mixing bowl. Add rice wine, sugar, curry powder, cornstarch, salt and pepper into the bowl. Mix all of the ingredients together until well combined. 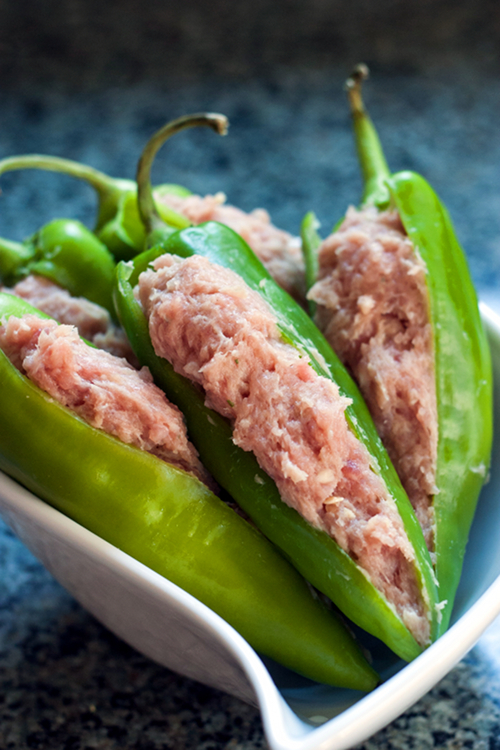 Stuff the pork mixture into each chile pepper using a teaspoon (do not overstuff the peppers). Set aside. In a large skillet, heat 2 tablespoons of olive oil over medium-high heat. Place the peppers on the skillet, cooking them until the skin is charred, turning them halfway during cooking. 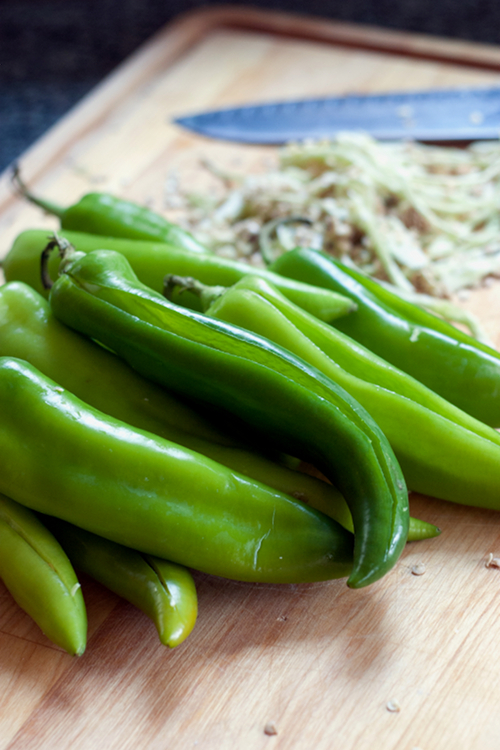 Remove peppers from the heat and transfer them to a baking dish. 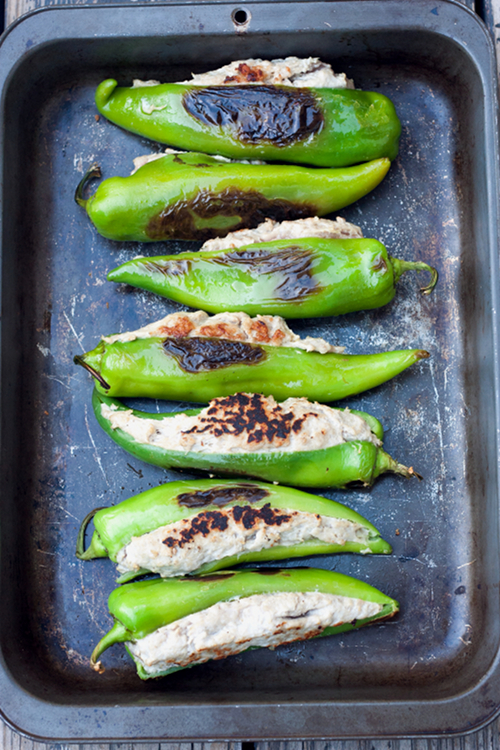 Bake peppers in the oven for about 15-20 minutes, or until the pork is cooked through. 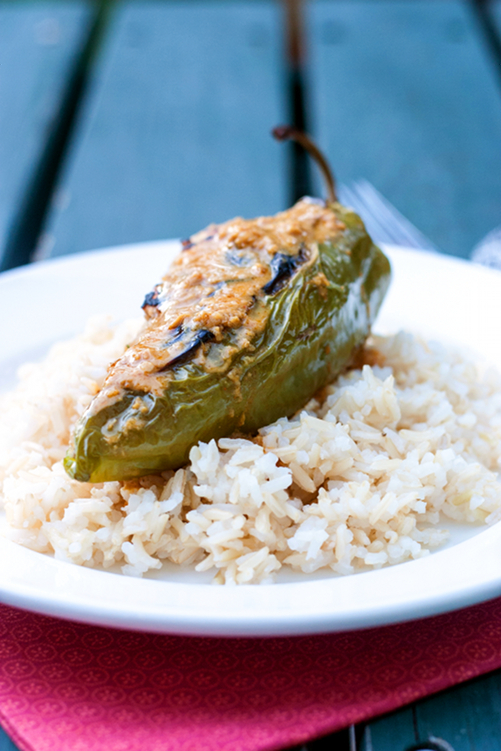 Serve immediately with steamed rice and spicy peanut sauce (recipe below). Put the first 6 ingredients in a food processor, puree to combine. While the food processor is running, drizzle the oil, water and vinegar to thin out the sauce. Season with salt and transfer to a bowl. 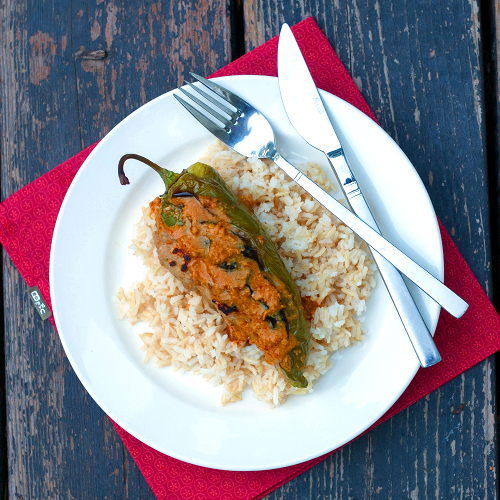 Serve with the stuffed peppers.